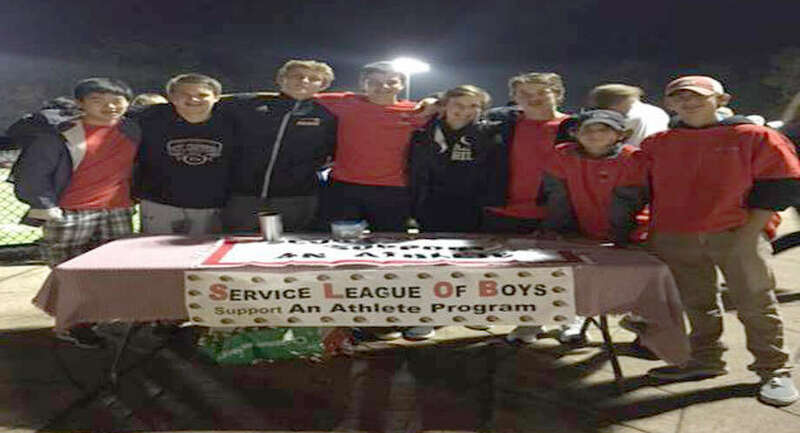 Service League of Boys members collected donations at a recent Friday night New Canaan Rams' football game to benefit fellow athletes in Bridgeport. Feed An Athlete is a SLOBS program that began in 2004 to support the football players at Bassick High School. The collection helps to fund a team dinner for the football players and also provides snacks for after games. Pictured from left are: Daniel Lu, James Gilman, Alex Gibbons, Gus Larson, Peter Heron, Griffin Dayton, CMac Watson and Walker Swindell.